As a diver the feeling you get sharing the experience of being underwater is something special but it is hard to fully portray what it is like to non-divers unless you have photographs, or video to show them. 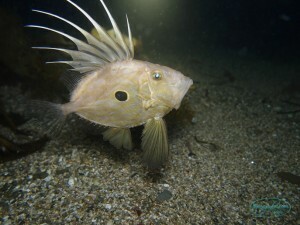 I have been lucky enough to reach the big 40 this year and I was bought an awesome present by my family; which if you haven’t guessed yet is an underwater housing and camera with macro and wide angle wet lenses so I could share my underwater photography with them and anyone else I could bore. 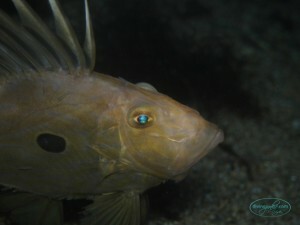 The camera I now have is the Olympus PEN mini E-PM1, called a micro four thirds system, and the Olympus PT-EP06L housing with the Epoque DCL-20 Wide angle and Epoque DML-2 Macro lenses and as I learn how to use it and get good and bad shots will write about that in my dive logs. 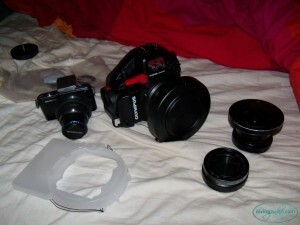 I would like to go through the process that led me to choose this camera and housing within the budget I was given for my present and it was hard in the end as it came down to 3 cameras, the E-PM1 and the Canon Powershot S range (S95 and S100 ), and they all excelled for what they are; making the final decision even more difficult. I have to say I was lucky here with having a friend that works in the film industry, doing the special effects that make us excited as we watch them. He has worked on a quite a few films and T.V. shows over the years but will leave it at that. With what he does he has to take many factors into account and has spent time away from his work learning about cameras so he has been able to match the computer generated components better to the filmed components. He had a limitation with his knowledge though, underwater photography and videography, he hadn’t spent as much time learning about this as he had not been involved with any of those scenes. Even though I had a 35mm film camera when I was younger, and took many photos, I wasn’t fully aware of the differences with digital cameras and how much they had improved. I knew that sensor size and pixel count was important but not to which degree, or what other factors could make one or both of those irrelevant. The main considerations he taught me were the size of the sensor and its compatibility with the lens/lenses as well as the the ability to control white balance. We had many beers as I pried this information out of him but it was worth every mouthful of the golden nectar. I also then have to say social networking can come in handy, which is where I met a couple of other people who are extremely knowledgeable as they are kinda semi-pro photographers who have been published in magazines and won an award or 2 in the underwater photography world. It was while chatting to them that I found a website called imaging-resource with a fair system for testing the abilities for each camera, and as there are plenty of review sites on the internet with many good and bad points I felt this one covered enough for my level of understanding. The E-PM1 and S100 are thoroughly covered along with many other makes. I am sure someone is going to pick me up on techno babble but the way I see it after it was explained to me is that as the technology improves the number of smaller pixel sensors will increase and less software driven enhancements will need to be made to a point, so a full frame sensor (which is 35mm) may have had 8 million pixels resolution a few years ago, now is about 20-24 million and in the future will probably see it up in the 40 million range, but just like the restrictions on processor size due to the size of an electron, there will come a time when this reaches a limit as well due to the size of a photon. Both CCD and CMOS have filters in front of the sensor that allow the Blue/Green/Red wavelengths to get to the sensor which then uses some software enhancements to mosaic the image, but ideally this is where you want the enhancements to stop as a sensor doesn’t see in colour. So taking each wavelength into account, you have the wave height from peak to trough, or amplitude, and if the sensor is too crammed for pixels then you wouldn’t get the full amplitude of each colour; this is where the limit of pixels to sensor size comes in I spoke of above. 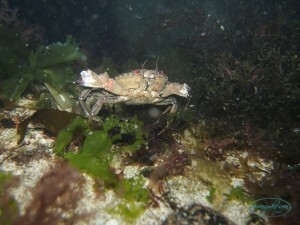 In underwater photography this is even more important to allow the most amount of light to be recorded as the image and insuring each colours wavelength is adsorbed by the sensor is critical. This also goes the other way, too much space for the pixels and you would get a washed echo effect making the colours less sharp. Having this limitation with a sensor is where the software driven enhancements then come into play, from what I was told more recently than I started writing this article, is that any camera that goes below ISO 160 (sensitivity of light) is enhanced anyway, so choosing a camera with an ISO of 160-200 would insure you would not have any interference from over processed software enhancements. This is fairly self explanatory, has the camera you are choosing got an option to manually select the white balance, or more accurately hold a white slate (or old ice cream container) at the distance you normally shoot underwater so the camera can adjust the pictures and you get the correct colours across that depth. This is where knowing the depths the wavelengths are no longer visible is handy. I told you earlier about the 2/3 options that were left for me after doing as much research as I could on what kind of cameras was available and it was either the Canon S95 (would have been secondhand), S100 and E-PM1. 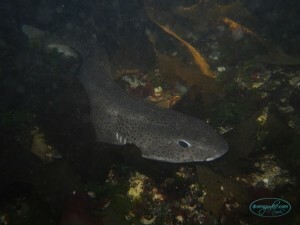 It was actually a hard decision seeing that each camera had advantages in their own right, and that the Canon cameras are slightly better for underwater photography due to the sensor being a little more sensitive. I think what did it for me was one of the evenings on the nectar with one of my friends in which he said ‘the limitations of only having one lens (the Canons) might get on your nerves when you shoot things on land’ and we went online and searched for mounts to use different lenses for the E-PM1 and the Canons and it was seeing the flexibility of the E-PM1 in this area that clinched it. Currently I have 8 lenses and only use the stock 14-42mm when I go diving, I am extremely impressed that a professional level lens 20 years ago can be bought for less than £40 today. I do not have an underwater photography gallery like many do on their sites, instead I am placing pics from my dives in my diving log, that way they can be seen in context with where I was diving. So feel free to check out my dive logs so far, I do have photos from a few places that are not mentioned in any dive books, or by any other clubs or schools but like everyone, it is nice to have a couple of dive spots to yourself and one day I will get round to sharing them. It will also be clear as to the lessons I am learning along the way and the quality of pictures improving as well as the composition. Congratulations to Vobster Quay for a successful 10 years this year and what a way for them to celebrate, other than the Vobster Quay 10th birthday party over the weekend of the 7th and 8th September. For only £10 all camping and diving is paid for, air fills, food and drink are not but they will have a fully licensed bar onsite and a BBQ. There will be a live band in the evening with fireworks; tickets are going to be sold out quickly as limited space for camping. 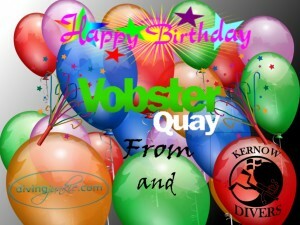 Don’t miss out, contact them now to book your place for the Vobster Quay 10th birthday party. 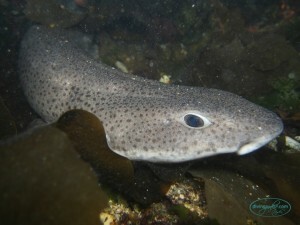 So last week Kernow divers organised a night dive, weather dependent of course, and 8 club members said they would go. It came to today (Saturday) and during the day for one reason or another 4 dropped out (and they missed a great dive) and so we were down to 4, Kurt had decided at 7pm that he was going to come and we had a nice little group. We met at the car park above Silver Steps on Pendennis point at 9.30 and chatted as we kitted up waiting for anyone else to join us. The tide was going out, so we knew we would get a max depth of 6-7m if we were lucky and had to clamber over the rocks in the dark but sometimes with diving it isn’t the depth that is important but what you get to see and the company you are with. The vis was amazing for down this way, about 5m clearly with the decent torches and would probably have been a lot further in daylight, not a bad throw on them; basic outlines were clear at about 2-3m without any light. I had decided to try my camera without the wide angle wet lens, mainly to see the difference of the casing of the lens casting a shadow over the subject and it not getting enough lighting. I was quite pleased with the results but did find it harder to frame things and sometimes that meant they moved out of shot before I could snap them. 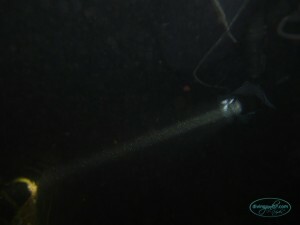 There was a lot of plankton in the water and it was amazing to see all the little zoo-plankton darting about, can only imagine the life and death struggles and territory wars that they were having as we swam through them, I just hope I managed to break a few up and peace lasted for a brief time. 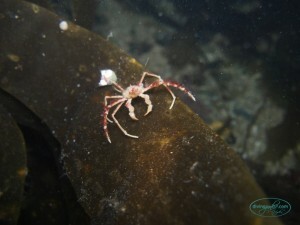 The main thing I noticed was the number of small crabs all over the kelp and seaweed, they were obviously up high to catch their food as it unsuspectingly drifted by but they were amazing little things, leech spider crabs I think I was told, and it didn’t matter where I looked they were there. So the plan was to leave the gully and swim to the left, toward some wreckage, look around the gullies and see what we could see, on the way out it was pretty calm but without the weight of the wet lens on my housing it was very buoyant and a couple of times during the dive it got caught around my neck as I was untangling weed from my legs. It was a bit freaky the first time, not because it strangled me, I actually didn’t notice that it was but I thought it had become disconnected and as I span around looking up to try and spot it it became tighter round my neck, then I noticed where it was and stopped, took a couple of deep breaths and unwrapped it, thinking to myself I won’t be doing that again but I did later. 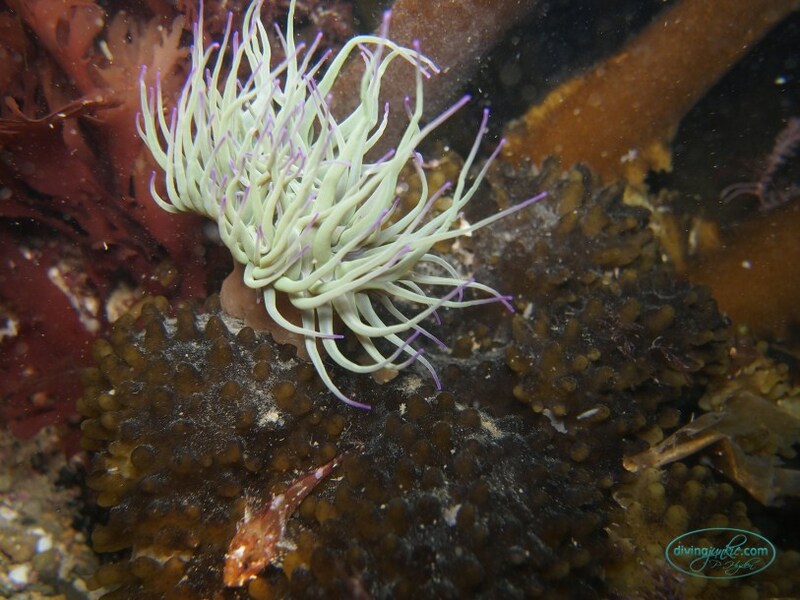 I couldn’t help myself taking photos of more snakelock anemones, they are so pretty waving in the current, and if you gently touch one of the tentacles the others wrap themselves round your finger so fast, an amazing thing to see. 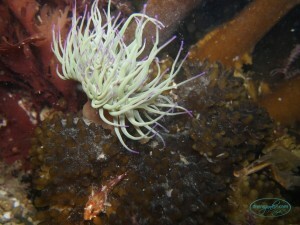 I didn’t notice till I got home that this anemone had a small fish just next to it, a juvenile as I had seen a larger one at Little Fistral on the last night dive. If I had used the wide angle lens I would have probably zoomed further in and it would have been in shadow from the casing of the lens so wouldn’t have spotted it. We got to the wreckage, not the boiler but something else they had headed for and I gave up trying to get shots of everyone as the light was too poor, definitely need some strobes soon, but we came across the resident John dory and he was so relaxed with us near him that he let me get fairly close to get these shots. I have a new found respect for these fish, when Kurt and I first saw one at Gyllyngvase a few weeks ago we thought it looked prehistoric but catching it at night shows just how beautiful they really are because the light reflects off their skin slightly iridescent, almost like you could see your reflection in it. I did get many more photos of things but as always it is hard to choose what to put in, was great being with the guys though, everyone was spotting for each other and if they caught something interesting they would stay in position with their light on it, am pretty sure a few things managed to get into cover before we all got to see it. On the way back I was paying close attention to my air, I was on 85 bar after my panic over my camera earlier and I was aware I am still using more air than I normally would with taking shots of as much as I can. The tide was on the turn and there was a little surge but then everyone just stopped and right below us was a shark like thing just lying there, probably hoping we hadn’t noticed it. 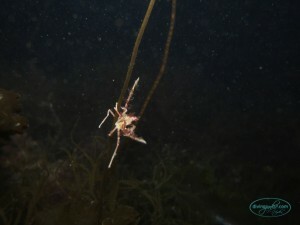 The first photo was taken from about 2m away and I only had one torch lighting it from the side and the internal flash on the camera, it was so peaceful just lying there in the weed obviously waiting for something big enough to eat, and as I lowered myself slightly so I was hovering just above the seabed I took a few more photos of it, I will only post one more though as I know I have bored my friends on Facebook, Twitter and Google+ already. I had managed to move in so my camera was about a foot away and I had to zoom out to get this shot but it shows how awesome they are to look at, and I said Thanks and waved as I left it to forage for its dinner. 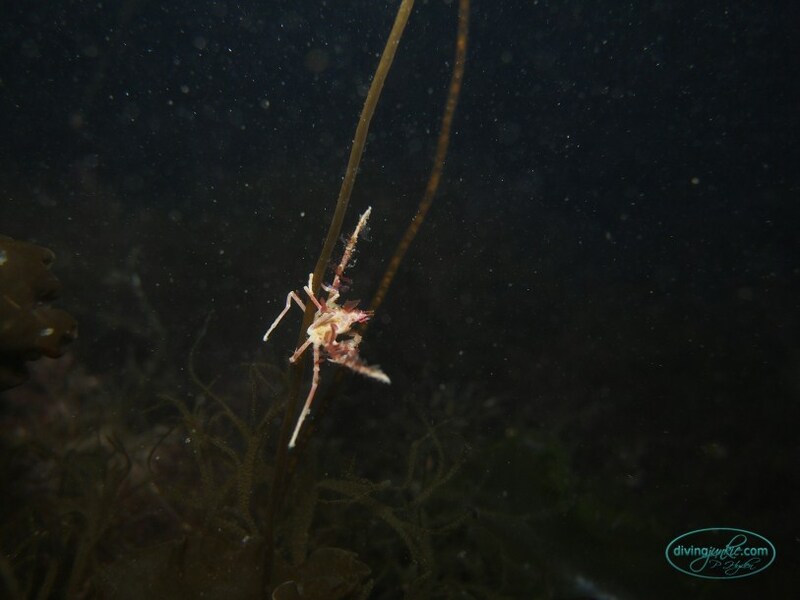 As I was moving away I saw a crab dart under some weed, I was getting way too excited nearing the end of this night dive and as I was getting used to the zoom on the camera thought I would carefully pull the weed back to snap him as well, he had clearly been in a fight and lost his claws. Thinking we were in the original gully Ben signaled for us to surface but we found we had come up one too early, I looked at my air again and saw I was down to 50 bar so stayed on the surface and swam over the reef keeping the guys in view all the time. Another great experience and an awesome reason that a night dive in Cornwall can bring many surprises, so lucky to live here.